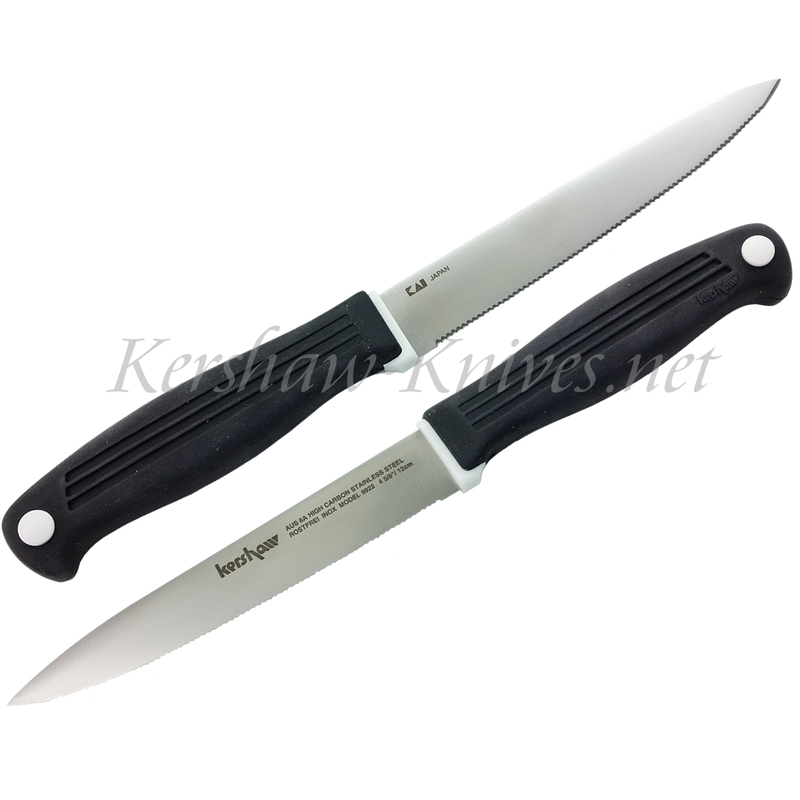 There has never been a more comfortable way to cut steak than with this Kershaw Steak Knife model 9922. The blade is made from durable AUS6A stainless steel for superior edge retention. The micro serrations glide smoothly through any cut of meat. The handle has an injection molded co-polymer construction that provides a soft gripping surface, even when wet, and helps ease hand fatigue.